CETA's product portfolio covers all important aspects of a full featured Energy Management System. From Meters, Communication Devices, through to an Energy Management software platform that integrates seamlessly with your existing deployment of Energy Meters. Whether it is NMI measurement requirements, NABERS and Green Star ratings, or your NGERS targets, CETA’s portfolio of metering products will enable you meet your regulatory targets. CETA, a global distributor of energy related hardware and software products, enable companies to reduce energy related costs, achieve regulatory compliance, and achieve green/environmental initiative targets. CETA has the full product portfolio that provides one of the best warranties in Australia. 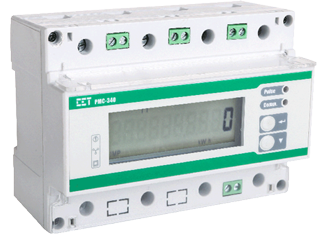 CETA provides both NMI Pattern Approved meters for trade applications in addition to not for trade metering devices. CETA's connectivity device portfolio helps you bridge the communications gap between your Energy Management Software and your deployed metering products. Get Connected with CETA. CETA's leadership in Energy Management Software is a direct result of providing platform solutions that are device agnostic. Integrate your entire Metering with Energy Management and Analytics software from CETA.